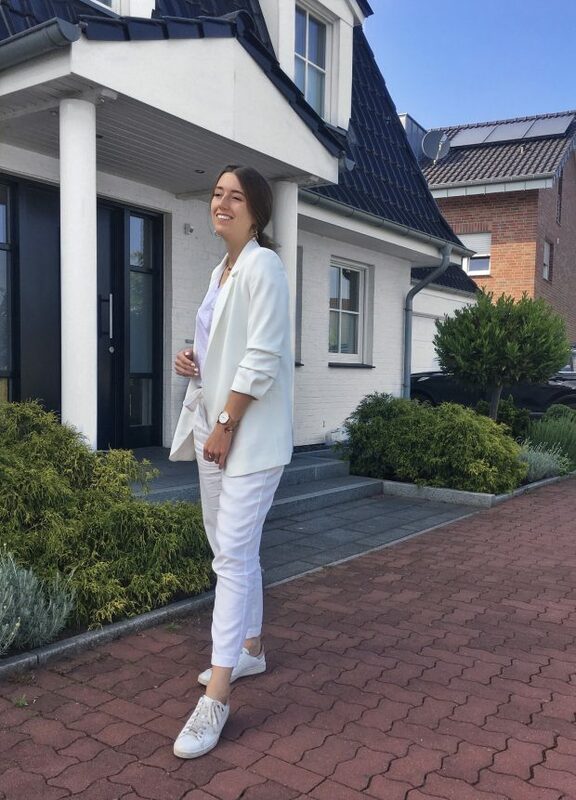 All white everything- definetely one of my favourite looks right now. I love how clean and stylish, chic bus still casual it is. Workdays, party or red carpet [not really, I know- lol]. You can wear it for [nearly] every occasion. All white everything gehört im Moment definitiv zu meinen Lieblingslooks. So stylish, schick und trotzdem lässig. Egal ob im Alltag, Party oder Redcarpet [lol, ich weiß…]. Ich würde dieses Outfit wirklich zu fast jedem Anlass tragen. Das steht dir echt so so gut!